BCD has built an expanded, more flexible arts curriculum that more deliberately integrates BCD’s program with fine and performing arts resources available throughout our region and community. The expansion has resulted in exciting changes in the School’s arts programming and the quality of every child’s educational experience for years to come. What Makes BCD Independent & Distinctive? Sasha Sicurella, an accomplished arts education specialist, artist, teacher, and consultant assumed responsibility as the Coordinator of BCD’s Visual Arts Program. She joined a strong faculty of talented performing and visual artists at BCD. Sasha has taught art to grades PreK-12 in both public and private American school systems (including Berkshire Country Day School from 2004-2007). 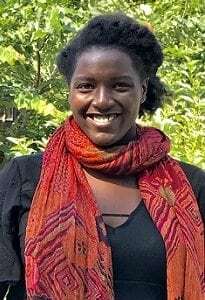 She is currently the Director of Education at Omi International Arts Center in Ghent, NY, where she has spent ten years developing and implementing public, arts-based programming for people of all ages. Sasha is also the founding director of the I AM: International Foundation, a non-profit organization that works globally to provide opportunities for children to explore identity through art and self-portrait photography. In this class we will look for inspiration in the work of leading ceramic artists from the 1900’s to present. Students will learn and experiment with hand building and wheel working techniques while creating pieces in the style of the artist’s work that we study. We will also learn glazing and surface design based on the artist’s work. Some artists studied will be Hans Coper, Lucie Rie, John Mason, and Betty Woodman. This course begins with two individual projects. The first assignment is the creation of a copper candle holder. The assignment involves shearing, cutting, bending and soldering to create unique designs. The second project is the design and construction of pine end tables in which the students make individual design decisions in creating unique pieces. As a class project, a pine log is carved into a totem sculpture. For anyone who wants to grow their ears: This course will provide creators of all levels to grow in the practice of arranging sound. By utilizing multiple modalities such as ear training, Deep Listening, and improvisation, students will be able to grow in musicianship as well as create their own original projects. By the end of the course, students will be able to create original works of music across at least three different media. This course would be of service for anyone thinking of taking AP Music Theory in future. Do you love to sing? Let your voice soar with Vocal Ensemble. In this class, we will build each musician’s current skill level in vocal technique, sight-reading, ensemble skills, and music theory. We will prepare fun and engaging musical presentations and share them with the community. We will also grow as an ensemble and foster a supportive environment for musical discovery. Give it a try! You’ll be amazed by what you can accomplish. N.B. Placement audition required. This course focuses on the creation of sculptural work throughout the semester. Starting with a collection of short projects and exercises, students are exposed to a variety of sculptural processes and strategies. Materials such as wood, plaster, foam, and found objects will be formed into small and large-scale works. The semester culminates with each student designing and executing an individual project. The studio work is supplemented by frequent discussion of contemporary art and group critique of each student’s work. A group of Upper School students meet to plan and create this year’s yearbook. Working with BCD’s graphic design and photography resources, students assume leadership for every aspect of the yearbook. This includes planning and organizing the issue; gathering, creating and editing written and visual content; executing page design and layout; and preparing print-ready files for publication. This course will explore the movement of performance art throughout its formation in the 20th century, focusing on different trailblazers integrating different forms of media into the storytelling of theatre. Through videos, readings, and physical exercises, we will explore four distinct artists and their contributions to the world of theatre. String players, plucked and bowed, will work to develop skills to perform music from many different idioms and eras. This class is for experienced string players of all kinds including fiddle, guitar, piano, ukulele, etc. Students are introduced to Music and Art starting in Preschool. In Music class, the focus is on listening, dancing, simple instrumental work and singing. In Art, students are introduced to a variety of tools and media to explore their own creativity and develop fine motor skills. In Lower School, starting in Kindergarten, students receive two periods a week of both Music and Art. In Music, students are introduced to simple rhythmic concepts and notation, and participate in the Lower School Chorus. 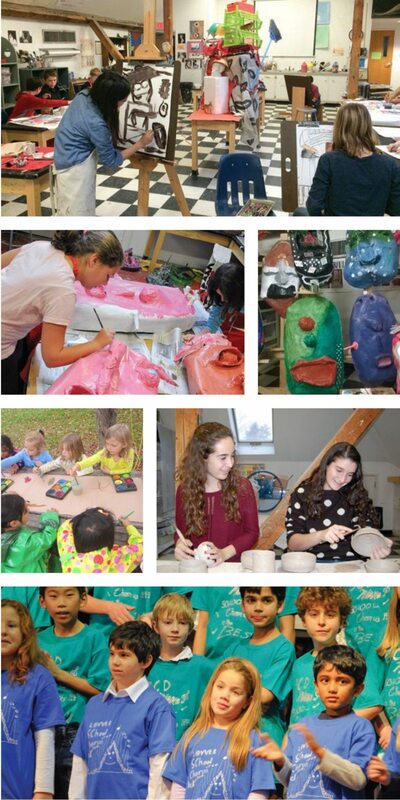 Art classes concentrate on personal exploration of expression and mediums. Students learn to paint, draw, sculpt and build using materials from watercolor to clay, with an array of age appropriate mediums. Art class is supplemented by classroom activities that provide a wide variety of art experiences designed to stimulate creativity and encourage personal expression. In Middle School, students not only create but learn the principles of art and how to reflect on artwork; art history is taught peripherally through the study of individual artists, movements in art, slides and videos, and reproductions. The Middle School Music program provides an opportunity for all students to become actively involved in four basic areas of musical experience: creating, performing, listening, and history. In Upper School, students are introduced to a range of advanced artistic mediums such as photography, graphic design, vocal ensemble, Caribbean music, electronic music, acting, and digital filmmaking as part of the Arts Block. 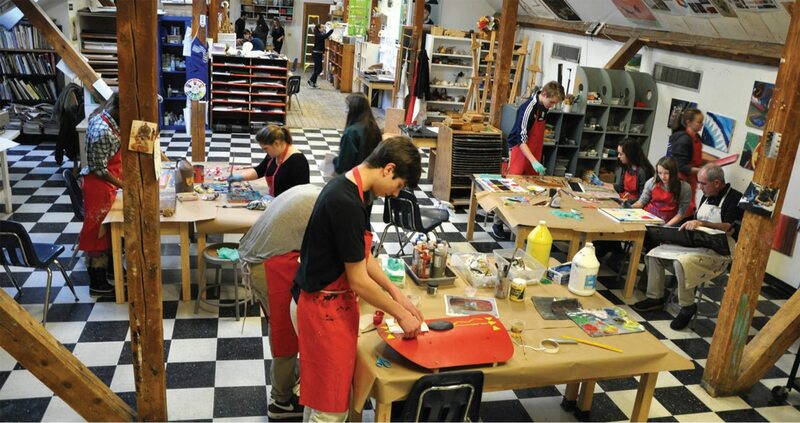 Through the Arts Block, students are offered a unique opportunity to broaden their artistic horizons by experimenting in new mediums and to advance areas of personal interest. Students are introduced to Music and Art starting in Preschool. In Phil Knoll’s Upper School drawing class, Ruby and Michelle, two 9th grade students, are turning an in-class drawing assignment into a full body activity. The girls sprawl across enormous sheets of paper on opposite sides of a long, low table. They make marks with soft pencils, occasionally using their fingers or the heel of their hand to soften the texture of a line. Class has just begun, and an oil painting class (taught by Tom O’Neil) is still cleaning up, but despite the hubbub, the students’ focus never wanes. Meanwhile, across the hall, Ben Evans is teaching an Upper School ceramics class; his students are examining glaze tests for the tableware they’re building. Next door in the mixed media studio, Max Spitzer is displaying the design projects just completed by his sculpture students. Evans, Spitzer, O’Neil, and Knoll are some of BCD’s art teachers. Evans is a local ceramicist and educator, who is drawn to geometry and structure; Spitzer, a RISD graduate and Hudson-based sculptor, luthier and teacher, is experienced in a variety of media and processes, from mold making to oil painting to ceramics to woodworking; O’Neil is an internationally-exhibited abstract painter, whose colorful work often arises from the tension between intention and chance; and Knoll creates humorous figurative drawings and paintings—some included in the permanent collection of the Museum of Modern Art. While two of the four happen to be past parents, it’s their lives as full-time professional artists, and their ability and willingness to examine their own artistic processes alongside students, which make them perfect prototypes for teachers in BCD’s recently created studio-based arts program. A multitude of independent studies indicates that studying both fine and performing arts positively affects everything from cognitive reasoning to confidence and character. 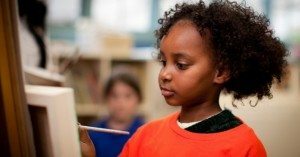 Participation in art education in the elementary years has even been shown to correlate to higher performance on the SAT test later. To these ends, Lindenmaier spent much time meeting with local artists and leaders of arts organizations. After selecting local artist and arts educator Sicurella to coordinate the program, three medium-specific studio spaces were created. On the west side of the building, there is a fully-functioning Ceramics Studio, and the larger space on the east side of the building now houses a Drawing & Painting studio and an adjoining Sculpture & Mixed Media studio. Sicurella is eager to explain the purposeful design of the new program. “It was really important that our faculty were working artists. The students form a different relationship with an artist who’s working alongside them,” as opposed to a more traditional art teacher. It’s also critical that students have agency in shaping their creative projects. One of the ways Sicurella judges the success of the program is to encourage students to create their own assignments. “If they jump to do that, I know it’s working,” she asserts. Phil Knoll embraces this way of teaching. In his Upper School drawing classes, he offers students a range of techniques such as tracing, sketching basic shapes, and drawing with charcoal and water, and then encourages them to apply this “creative toolkit” to any subjects that engage them. As a result, on one recent winter afternoon students were drawing everything from abstract patterns, to optical illusions, to large-scale portraits of familiar cartoon characters. One seventh grader, tackling a particularly complex drawing, sought Mr. Knoll’s counsel. “I’ll help you sketch out the basic shapes,” he offered, and then leaned over next to the student to discuss what those shapes should be. What about the younger students? Their curriculum has also been designed to allow deep engagement with different ways of making, viewing, and understanding art through working with teaching artists. Ben Evans’ kindergarten students are constructing ceramic houses, which they design, assemble, and glaze with his counsel and support. Sculptor Max Spitzer’s fifth grade students are preparing for an upcoming field to trip MassMOCA by collaborating on their own version of a Sol Lewitt wall drawing. When the fourth graders asked to learn digital animation, Spitzer designed a project that allows the children to work both collaboratively and individually to create characters and backgrounds for the project. The collaborative, hands-on approach to teaching art reflects Sicurella’s commitment to giving students the tools they need to have a confident relationship with “both the experimental and technical aspects” of making art. “When kids leave after 9th grade at BCD,” she says, “they’ll leave knowing they can problem solve, visualize, and articulate things creatively. They can be engineers or artists!” she exclaims. Eventually, she says, she hopes the curriculum will expand to allow students deeper exploration and integration of multiple media—to make films out of their drawings or design sets for performances, for example. Sasha Sicurella joined BCD as the Coordinator of BCD’s Visual Arts Program and as a K-6 arts instructor. Sasha is an arts education specialist, artist, and consultant. 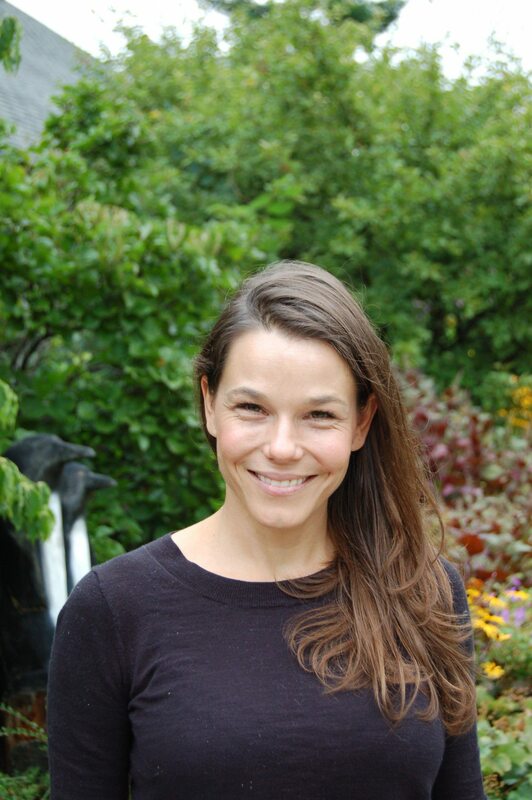 As the Director of Education at Omi International Arts Center in Ghent, NY, Sasha has spent ten years developing and implementing public, arts-based programming for people of all ages. Through her work as the founding director of the I AM: International Foundation, Sasha provides opportunities for children to explore identity through art and self-portrait photography. To date, the I AM: Projects have served more than 1,000 children in 15 countries across 5 continents. Her work has been exhibited in the United States and internationally at museums and art centers in Tel Aviv, Milan, Mumbai, Addis Ababa, Bratislava, Ulan Bator, Sao Paulo, and New York. 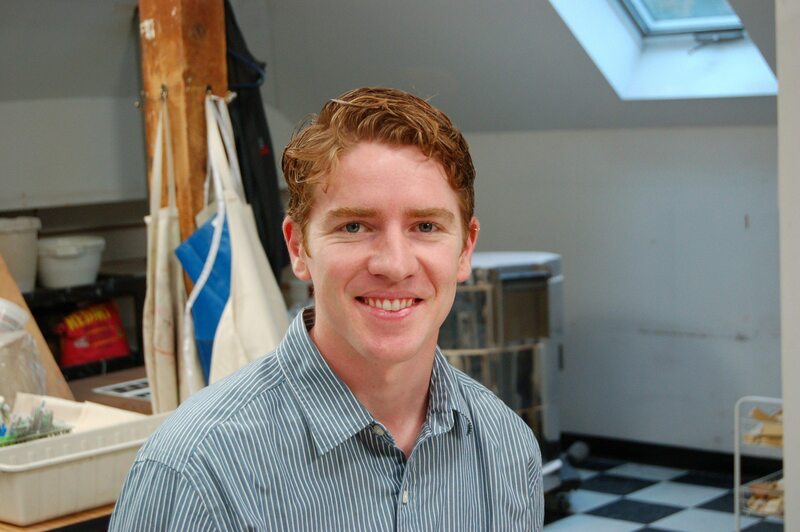 Ben Evans has worked at IS183 Art School in Stockbridge, MA as the Ceramics Studio Manager. He has taught Wheel Working, Hand Building, Tile Making, and Slip Casting, and he has been the Summer Camp Ceramic Instructor. Ben received his BFA, majoring in Ceramics, from the State University of New York at New Paltz. His other teaching experience includes work at Morningside Elementary School in Pittsfield, the after-school program at Taconic High School, and as an art club teacher at Richmond Consolidated School. 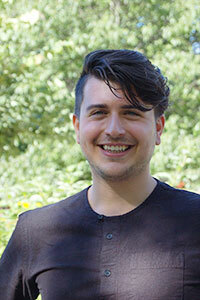 He has also worked as a studio assistant for Michael Brod in Rhinebeck, NY, and Mary Roehm in High Falls, NY, and as a teaching assistant for Jeff Zamek at the Penland School of Crafts in NC. Joe Katz is an accomplished woodworker, sculptor, and teacher. Joe has over twenty years of experience teaching students in Grades 4 through 12. At BCD, students in Grades 4 through 6 take shop class for one trimester each year. Using real tools is essential in developing minds, muscles, strength, and stamina. A strong emphasis is placed on craftsmanship and proper planning, while always working with safety in mind. 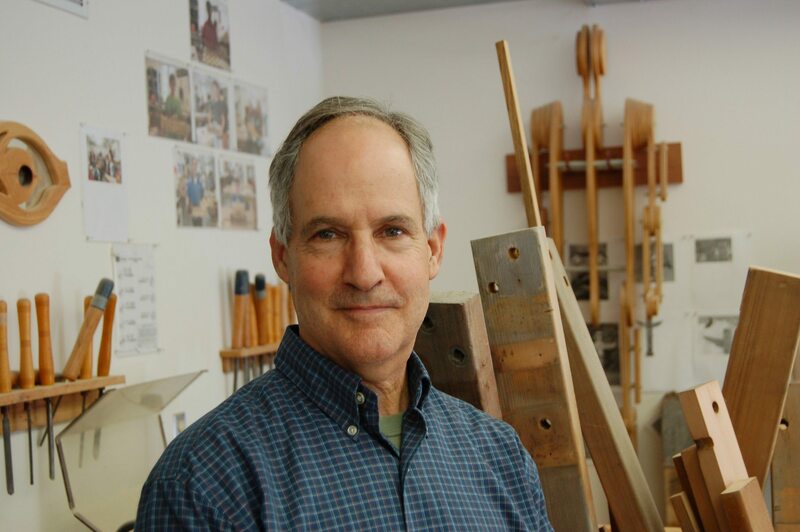 In addition to teaching woodworking, Joe has experience working with students in such areas as metalworking, ceramics, jewelry making, and architectural design. Joe has operated his own woodworking and cabinetry business for ten years, was a member of the Peace Corps in both Ethiopia and the Marshall Islands, and then taught at Waldorf schools in Vancouver and New Zealand. He received a B.S. in Industrial Arts Education from Millersville University and a B.A. in Art from Westfield State University. 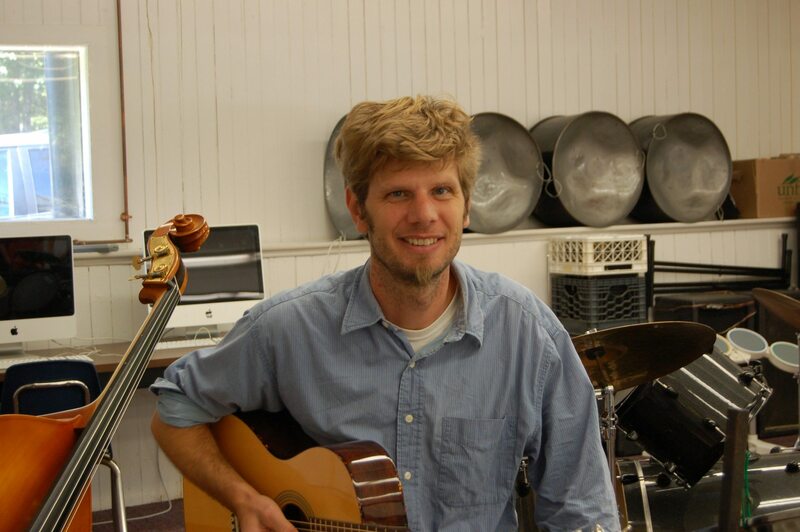 Charles Zotique teaches Music and coordinates BCD’s private instrumental music program. 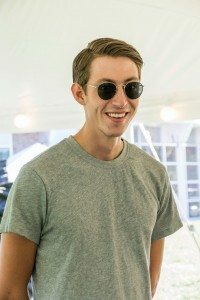 He most recently taught at an elementary charter school and at New Design Middle School in New York, and he has been a guest lecturer with the New York Composers Collective. Charles is an accomplished musician, singer, choral director, and composer, and has worked professionally with Cantori New York, Treasure House Chorale, Young New Yorker’s Chorus, and the New York Symphony. Charlie co-founded the Harlem Creates Music Festival and produced “Celebramos Juntos!” for the Riverbank State Park’s Hispanic Heritage Month. Several of his compositions have been performed in the United States and abroad. Music education at BCD begins in Preschool and students in Kindergarten through Grade 6 have classes based on the Orff-Schulwerk approach. Concepts are learned through song, dance, movement, drama, and percussion instruments. Improvisation, composition, and a natural sense of play are encouraged. Starting in Grade 1, students participate in chorus where they learn to cooperate and work as a group towards a common goal. Students in Grades 4 through 6 are members of the Middle School chorus and develop good vocal technique, proper breath support, clear diction, and confident stage presence. Lia Russell-Self is the Theater Director and directs the Middle School theater workshop in November, as well as the Upper School Winter Production. She is a graduate of Bard College at Simon’s Rock and holds a degree in Creative Writing and Theatrical Arts. Lia has been a teaching artist at the WAM Theatre, and she will co-direct a production at WAM in Fall 2017. She is the co-founder and co-artistic director of 84 Production, a local theatre company. Lia is passionate about “devised” theatre, wherein the script originates from the collaborative work of a group. Full of energy, optimism, and talent, Lia, who also serves as a member of the Development Office, is a valuable addition to our dynamic arts teachers and offerings at BCD. The theater program at BCD exposes students in Grades 1 through 9 to the ancient tradition of live theater through workshops and production. Students in Grades 1 through 3 each take one trimester of theater a year which consists of theater games and exercises increasing self-awareness and introducing them to theatrical concepts. In Grades 4 and 5, students have theater workshops in which they explore acting skills and develop their strengths as individual creative artists. Grade 6 students may participate in a fall production which focuses on developing fundamental performance skills, working as an ensemble, and experiencing the thrill of performance.